Wow, life has been crazy! But, crazy good. I have a lot to catch up on, so let's begin. While we were in San Francisco, Tanner's brother and wife had their second daughter, Olivia. She's a bundle of joy with tons of dark hair, and I can't help but snuggle her. The caterer that I've used for our past couple Christmas Parties opened a new kitchen and warehouse space and they held a Grand Opening for it. Of course I had to go because I knew the food would be amaaaazing. Sadly, Tanner had class so I was ridin solo, but I so wish he could have come because the FOOD. It was bomb. A cornbread waffle with sweet pork on top? Yum. I actually got the berry and it was super delish. A very cool drink station. And because I was still solo waiting for Tanner to get home, I went to snuggle the new babe some more. I had a bridal shower and baby shower in the same weekend, and it's always so fun to celebrate those you love! Diamonds are a girls best friend! The single ladies were loving trying on all the rings for their boyfriends. hint hint. I sadly didn't get a picture with my friend Janey at her shower, but I can't wait for her new baby girl! She was my roommate for maybe 6 months, but we have stayed so close, and I'm so grateful for our sweet relationship. After the shower I went back to see my best friend Olivia. I just love her, ok? Later that night Tanner and I went to a very cold football game. 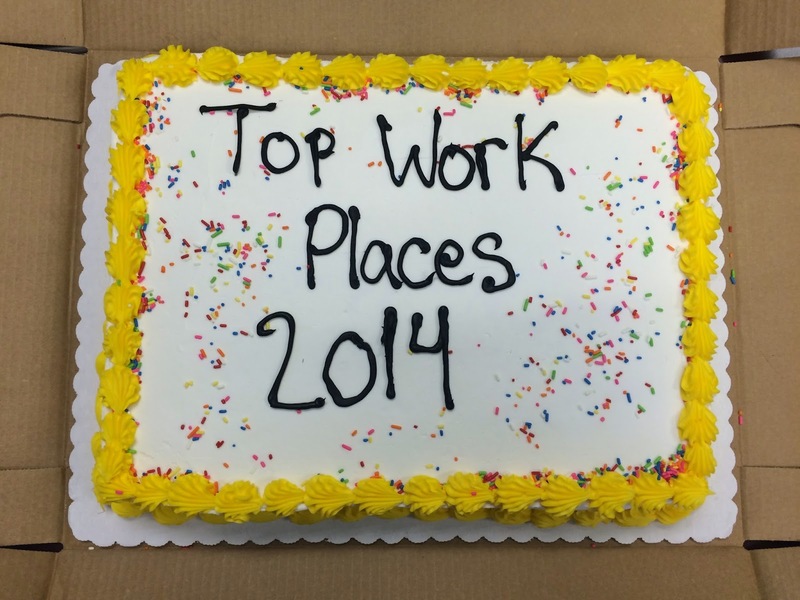 That next Monday my company won the "Top Work Places for 2014" award, and we celebrated with cake and lots of balloons. I was asked to help plan and decorate a Young Women's Evening in Excellence, Dr, Seuss themed. It turned out so cute! I was brainstorming this great college graduation party I was going to do for the husband, until I found out that was his High School graduation party's theme, dang it. The next day I had to be at two events at once. I had to help organize and pass out tickets at a Hunger Game premiere like we did last year, and at the Gallivan Center ice skating rink downtown. Because Tanner had class again, I chose to spend most of my time at the skating rink so that we could see the movie another time together, and so that he could meet me after class. It ended up working out, but it was just a tad bit stressful! The next night we went to the Lighting of the Riverwoods, and we feel so lucky to live in Provo! They have the most amazing free activities for everyone, and they never disappoint! The Strike performed for us, and then we watched a 15 minute (seriously) firework show to some improvised piano music. It was a blast, and the most amazing fireworks! The nexxtttt day, my brother in law came to utah with two of my nephews for the BYU game! We ate at Chik Fil A after going to the bookstore, watched the game in the cold rain, ate a cougar tail, had ice cream at the creamery (his mom can never leave Provo without it and I didn't complain), they came and saw our house, and then we went to Sandy to eat The Pie with his siblings and socialize! It was a very long day, but so fun! I loved having those boys in town. 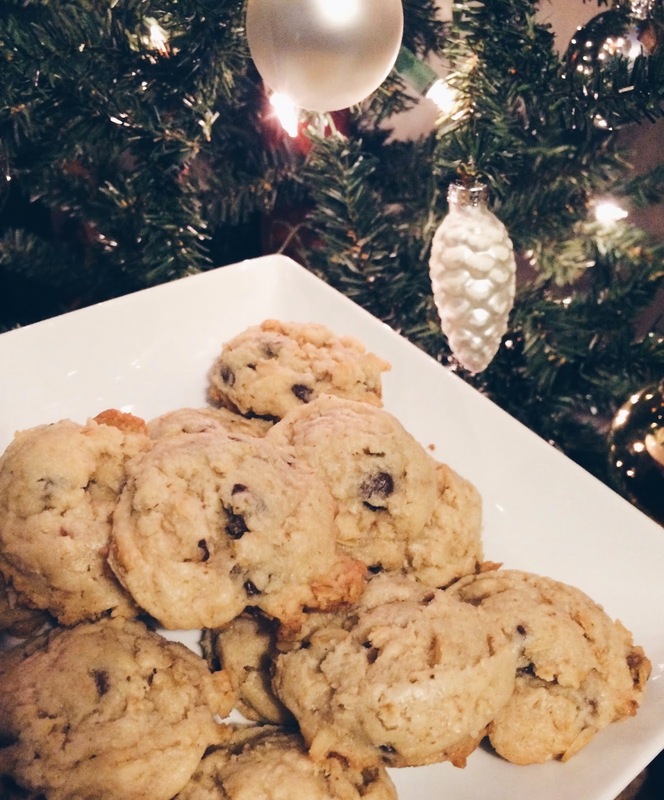 Sunday night we decorated for Christmas and made cookies. I was one happy girl. It made me realize how teeny our house is, when i had to pack up one whole bin of decor that I didn't have room for! I still love our Charlie Brown Christmas Tree! It's been a fun couple of weeks! Sadly to say I'm really excited to have another break for Thanksgiving in California, pathetic I know. We will have been in California half of the month this month, but I'm not complaining one bit! Here's the video we made from SF. Enjoy!